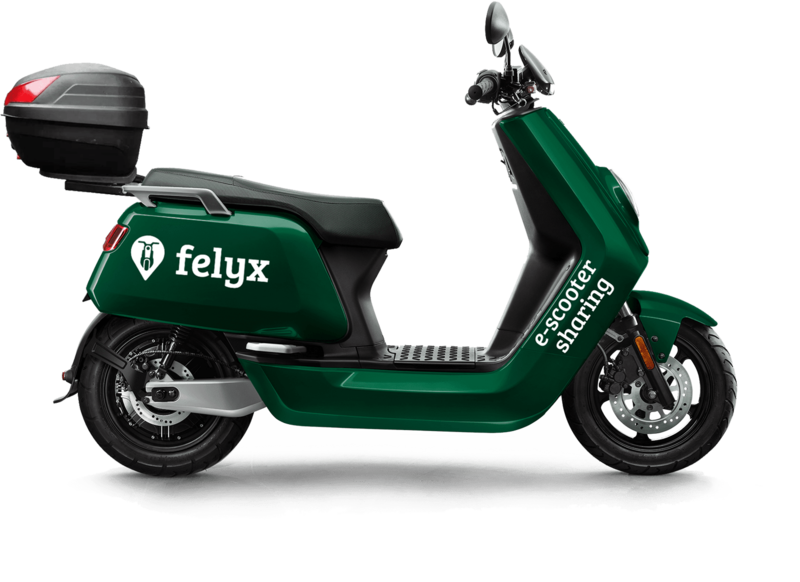 felyx offers shared electric scooters available for €0,30 per minute. You can start your ride in 3 simple steps. Use the felyx app to locate, reserve, and activate the nearest e-scooter. In Amsterdam, there are more than 100 fully electric scooters. Ride through the city for €0,30/min. There are no hidden fees. felyx offers shared electric scooters available for €0,30 per minute. Within the service area you can reserve and park felyx e-scooters anywhere you want. Use the felyx app to locate, reserve, and activate the nearest e-scooter. There are more than 100 e-scooters available to use.